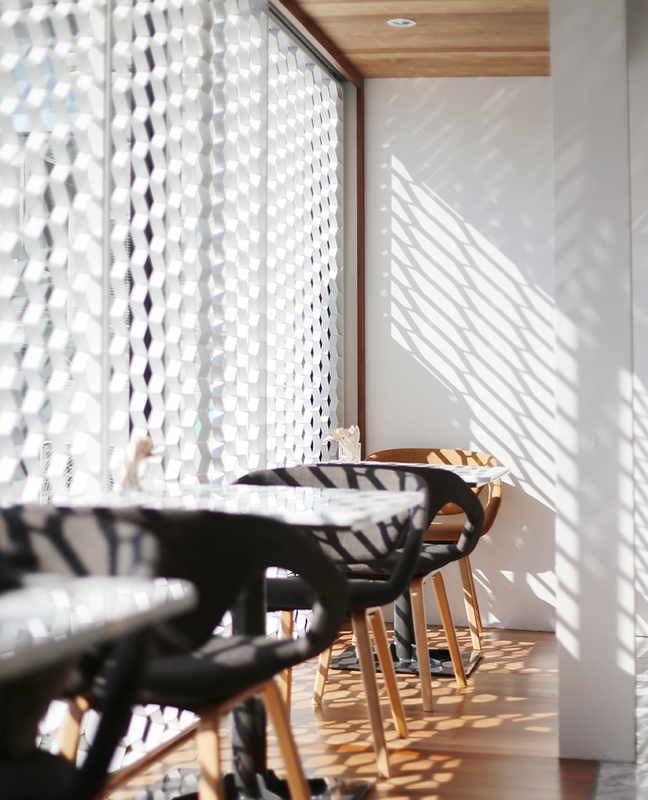 Essence in an Eatery – architectkidd co. ltd.
October 31, 2015: “ABC represents the starting point, the most basic essence of eating,” according to restaurateur Pakamon “Nina” Somboonvechakarn. 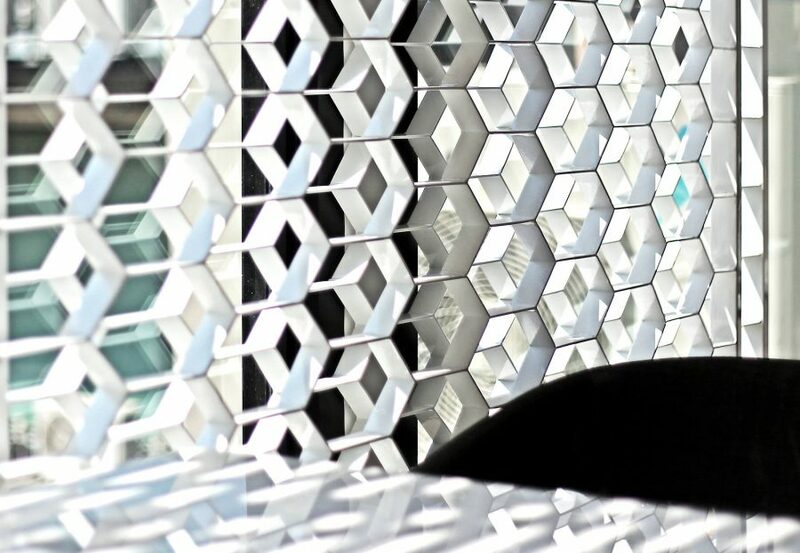 The goal is to combine creativity along with high-quality ingredients to give taste and nutrition to the menu. 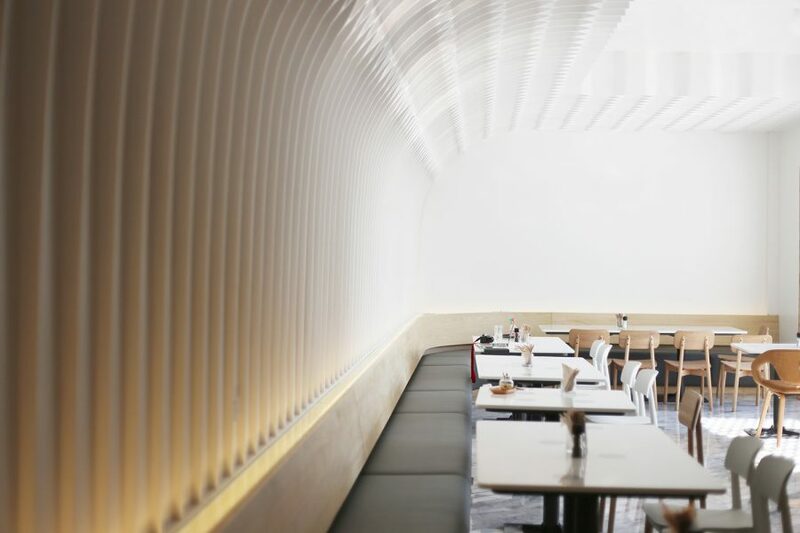 For the design of the ABC Eatery, Architectkidd devised various techniques to filter natural light into the interior space. 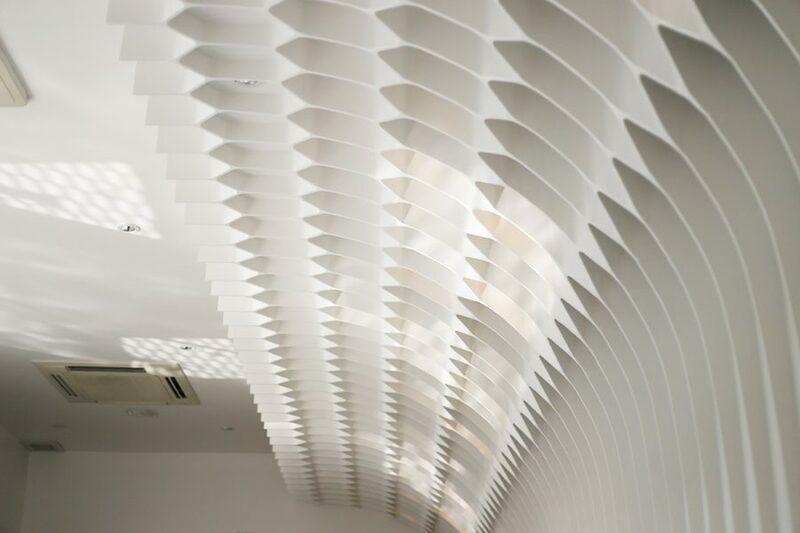 Among the highlights is our design for the honeycomb ceiling with integrated lighting. 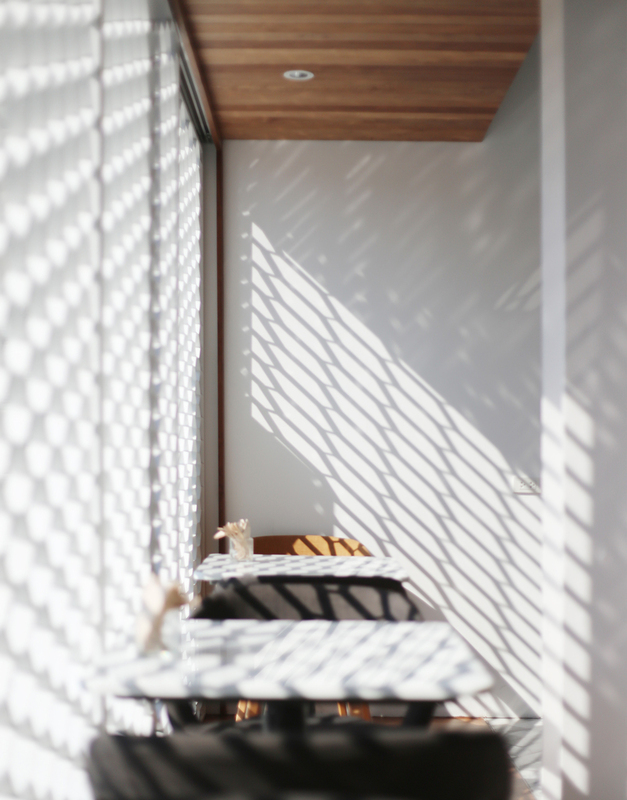 The custom-designed screens also diffuse the light into the restaurant. 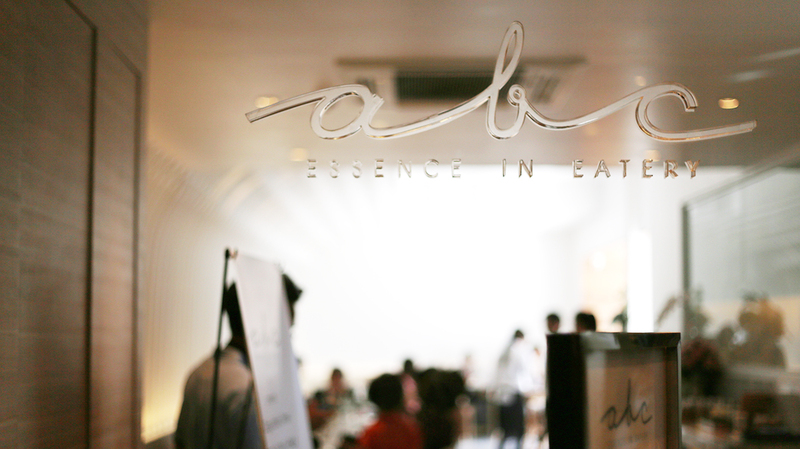 Have a closer look at the ABC Essence in Eatery in the image gallery below. Photography by Waraporn Srikokjareon & Pohnchanok Thongtha.